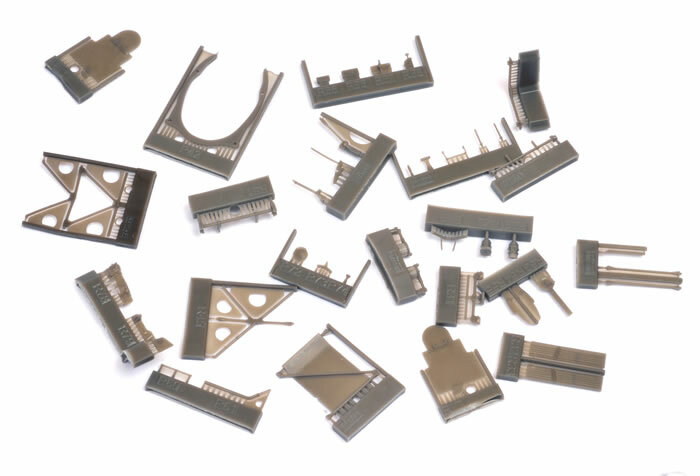 44 parts in grey resin; one colour photo-etched fret; one brass plated photo-etched fret; self-adhesive masks; one small clear printed acetate sheet. 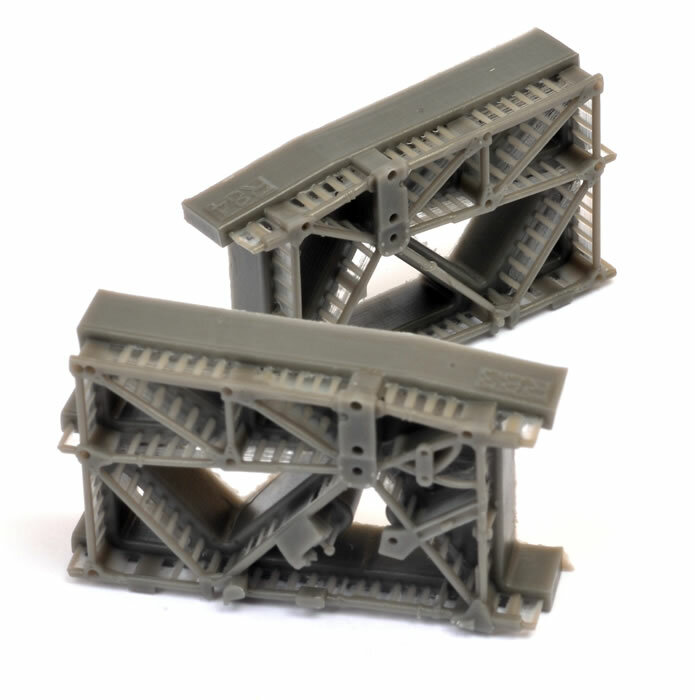 Beautifully detailed; perfect casting; straightforward cleanup and assembly. There is no doubt that Tamiya's 1/48 scale Messerschmitt Bf 109 G-6 is a beautiful kit straight fron the box. Eduard has, however, produced a suite of upgrades that lift the kit to an even higher standard. If you have already built a Tamiya Gustav straight from the box, this would be a luxurious way to enhance your next Bf 109 G-6 project. 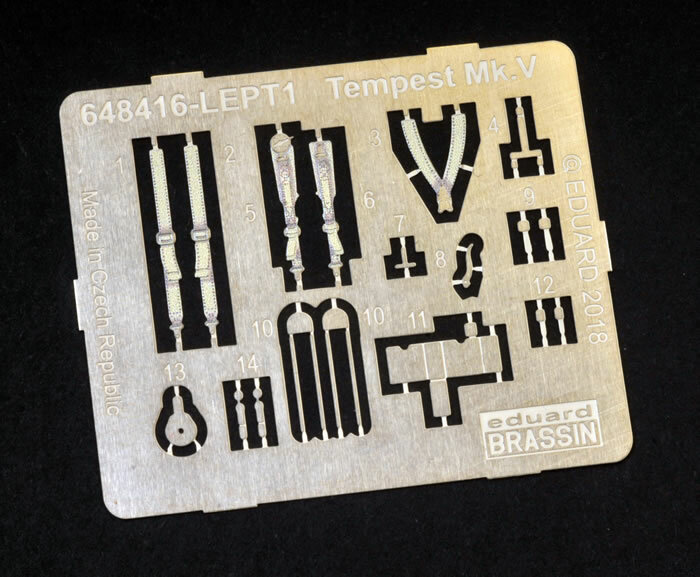 Eduard released a suite of separate resin and photo-etched accessories for their new 1/48 scale Tempest Mk.V Series 1 and Series 2 kits not long after their release. 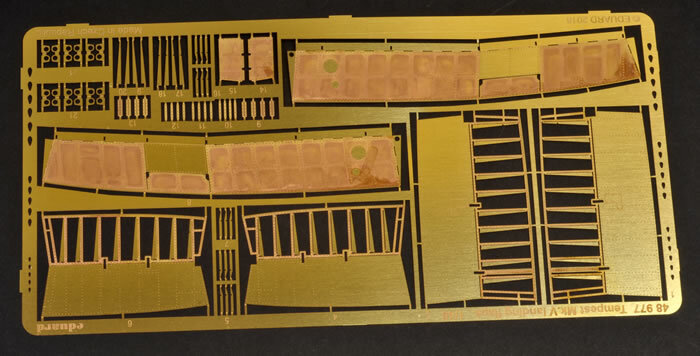 They have now combined a number of the most interesting and relevant BRASSIN resin, photo-etched and masking products into a single BIG SIN "Essentials" boxing. This set includes a complete replacement cockpit, hollowed-out exhausts, replacement late-style main and tail wheels, a colour photo-etched fret, one brass plated photo-etched fret, two die-cut self adhesive masking sheets and a small clear printed acetate sheet. The cockpit is made up from 39 resin parts plus photo-etched parts. This is the most intricate BRASSIN cockpit that I have seen so far. There are no compromises despite the complex and layered nature of the Tempest cockpit. The resin parts are perfectly cast and beautifully detailed. I have build a couple of BRASSIN cockpits, and this one looks equally nice. This is definitely an upgrade worth having. The instrument panel is a resin part with raised bezel and switch detail. 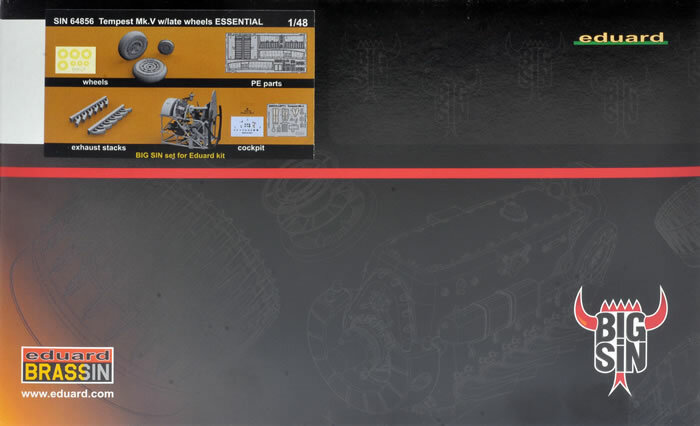 Decal dials are supplied for a realistic finish. 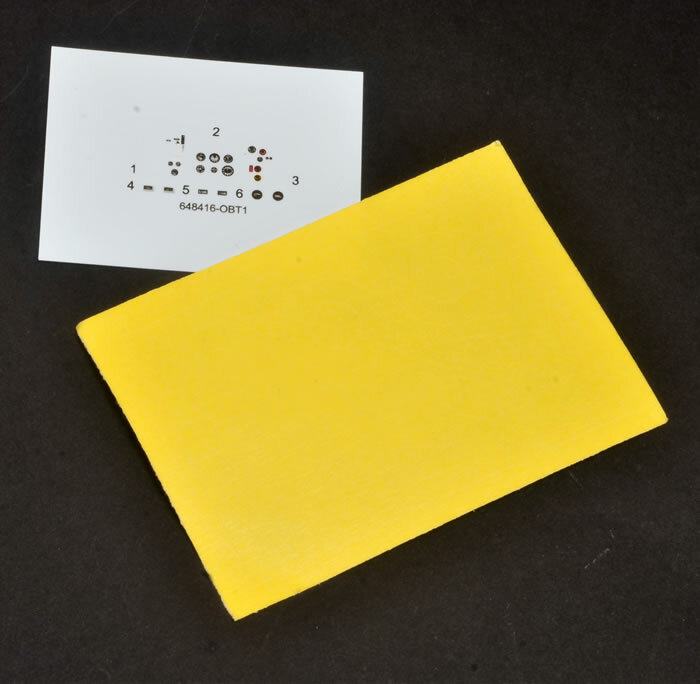 You could also use the kit's colour photo-etched panel if you preferred. Photo-etched parts are supplied for cockpit details. These include a colour set of harness straps. 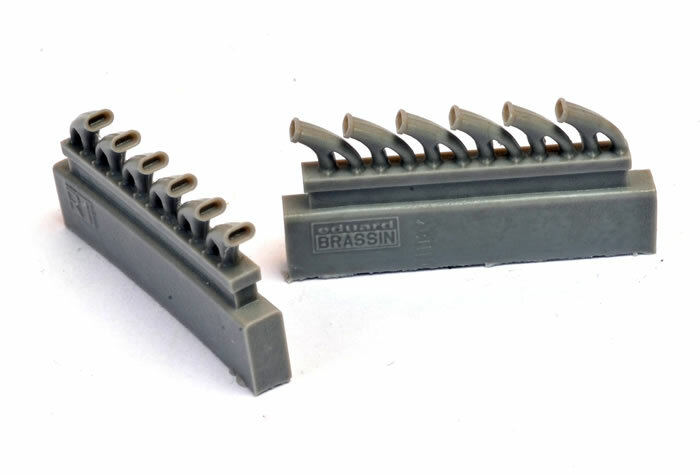 This is a simple, drop fit replacement for the kit parts, which are solid at the ends. Eduard's resin exhausts are hollowed out at the end of each stack. They are also cast with nice centreline weld beads. Cleanup should be fast and easy. This is another very simple replacement. 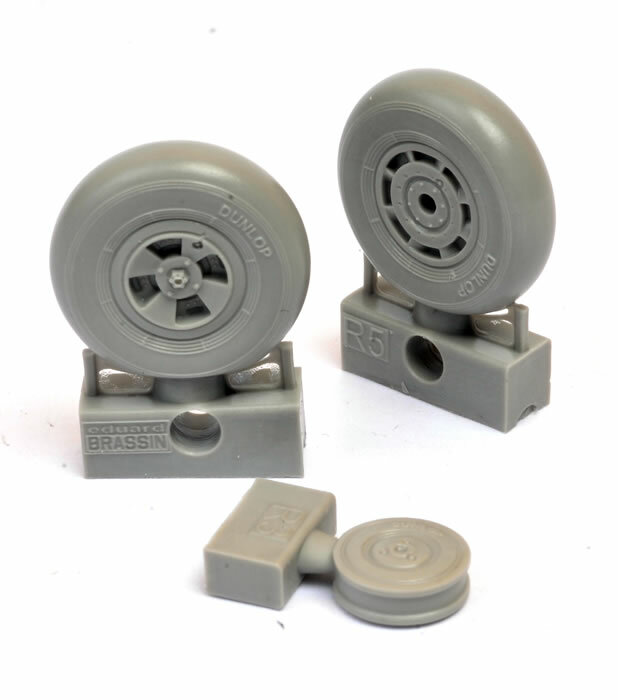 Note that the main wheels are the late style that were typically seen on the Series 2. The main wheels are subtly bulged and flattened. The anti-shimmy tail wheel is supplied in one piece. A set of photo-etched dropped flaps are also supplied. This will require the kit flaps to be cut from the lower wings and the inner surfaces of the trailing edge of the upper wings to be thinned. The detail of these photo-etched flaps with their interior struture is very impressive and will deliver a big visual impact to your Tempest. Self-adhesive, die-cut canopy and wheel masks are also included. A small sheet of clear printed acetate sheet is supplied for the gunsight lens too. The package is rounded out with heavily illustrated instructions. There is no doubt that Eduard's 1/48 scale Tempests are beautiful kits straight fron the box. Eduard has, however, produced a suite of upgrades that lift the kit to an even higher standard. 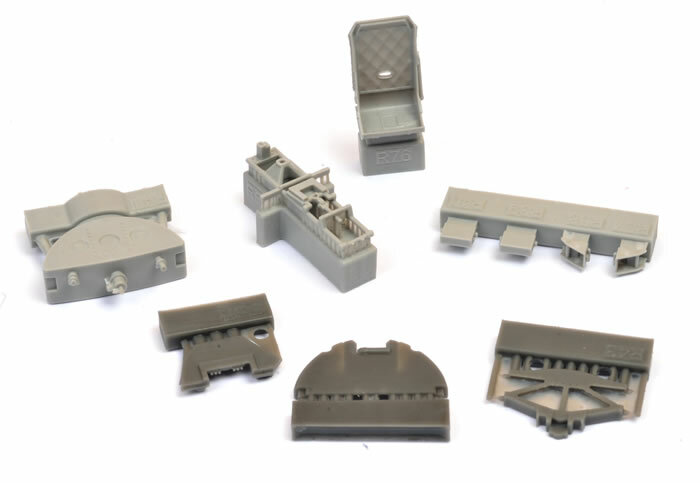 This is a luxurious way to enhance your Eduard 1/48 scale Hawker Tempest Mk.V project. Thanks to Eduard for the samples and images.